For a card that is meant to encourage loyalty at Canadian Tire gas bars, the Canadian Tire Options Mastercard is entirely underwhelming. The only time when this card would be really useful would be when shopping at Canadian Tire stores. Almost every other situation, including filling gas at Canadian Tire gas bars, would yield a better return by using a comparable card. The card comes with no annual fee and has relatively low application requirements. As much as I want to like this card, I really can’t suggest it. This card markets itself for the gas benefits, yet even for gas purchases at Canadian Tire gas bars, a close competitor (MBNA Smart Cash) has a better earnings rate. I just can’t recommend a card that isn’t even close to the best card to use in its own gas bar. The main benefit of this card is the 1.3% earning rate on purchases at Canadian Tire stores. This card also gets you access to the Canadian Tire Money gas loyalty program. As I mention in my overview of the Canadian Tire Money gas loyalty program, Canadian Tire Money can be earned on gas purchases only when paying with cash, debit or with this credit card. For purchases at Canadian Tire, the benefit is slightly above average for comparable cards and for “other purchases” it is an acceptable 1%. Unfortunately, the marketed selling point of this card is actually where it suffers the most vs comparable cards. Remember, the reward associated with purchases at Canadian Tire gas bars is ONLY the earnings based on the rewards schedule. There is no base 1% earnings on all purchases. As I mention in the analysis, current gas prices are approaching $1.40 / L. The Canadian Tire Money gas loyalty program also pays a multiple on the rewards schedule. According to the rewards website, the average multiplier available is 7x. Based on this, a car filling up 50 Litres would earn 1.5% of the purchase in Canadian Tire Money. The more gas that is filled, the better the return. As gas gets cheaper (yeah, right), the return improves. Given this, I think a fair estimate for the gas rewards is 1.5%. I put this card in the category of relatively low application requirements and no annual fee. I would say that for most people looking to get this card, a better card to select would be the MBNA Smart Cash Mastercard. For people interested in applying for the Options Mastercard, I would suggest getting a strong sense on what the allure of this card is. If it is the gas benefits, the MBNA Smart Cash is a better return. If it is the Canadian Tire benefit, then an American Express Blue Sky is a better bet. Rewards come back in the form of a cheque automatically. I think that when lined up nexd to each other, the MBNA card definitely wins out in the gas category. The MBNA card gets 2% on all gas purchases, regardless of retailer. This trumps the options Mastercard, even for purchases at Canadian Tire gas bars, which was established to be about 1.5% on average. For purchases at other gas bars, say Esso for example, the MBNA card still gets the 2% return, while still having access to the Esso Extra loyalty program. Grocery purchases are better with the MBNA card, while all other purchases are the same. Purchases at Canadian Tire stores will be better with the Options Mastercard. Overall, I think people looking at the Options Mastercard should really be looking at the MBNA Smart Cash Card. 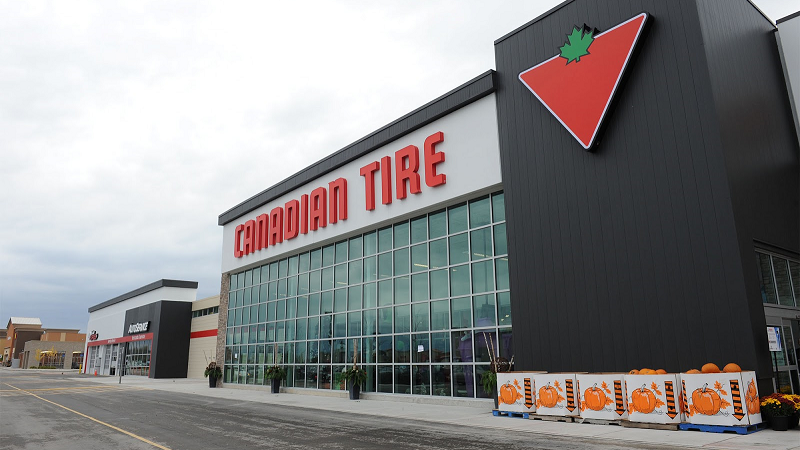 The Canadian Tire Options Mastercard might be good for people who spend a significant amount of money at CAnadian Tire and are looking at this card to discount those purchases, the Amex Blue Sky card will be a better bet. The Blue Sky card gets 1.25% return on all spending. For Canadian Tire spending the Blue Sky and Options cards are pretty comparable (1.25% vs 1.3%) but the Blue Sky gets the win on all other purchases. For gas purchases at Canadian Tire, the Blue Sky is not as good as the 1.5% from the Options, but for all other purchases the Blue Sky wins. For people who spend a significant amount of money a higher level card would be a better bet. My favorites include the MBNA World Elite, Bank of Montreal World Elite and Scotiabank Gold American Express cards. All of these will significantly outearn the Options Mastercard. for their intended categories (gas purchases or “all” purchases). Please consult the Top Lists for other suggestions. There are no annual fees on this card. This card is not the ideal card for people targetting the insurance benefits and full warranty protections. One of the things that doesn’t sit well with me is when crucial information is either not shared or is difficult to find. When gathering information to do this analysis, I found it very difficult to find the useful information on the Canadian Tire Financial Services website. This analysis was based on information I gathered when I phoned the CTFS 1-800 number. 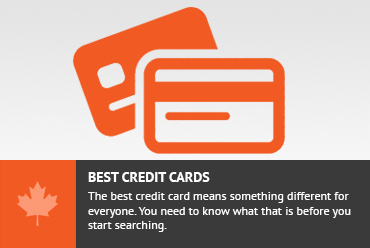 I find it very odd that something as fundamental as the rewards earning structure of a credit card would be so difficult to find. When it isnt written anywhere, I often question if there is a bait and switch tactic going on, or if there wi soon be a reduction of benefits. At the end of the day, the Options Mastercard is quite underwhelming. The rewards come as Canadian Tire Money, which, although valuable, should be discounted when compared to cash. For people interested in getting the Options Mastercard, I would suggest the MBNA Smart Cash Mastercard which gives a much better return on grocery and gas purchases (including at Canadian Tire gas bars) with the same return as the Options Mastercard. You don’t say anything about the bill payment feature. It’s literally the only reason I have this card. I just paid my tuition with it and earned 1% back in CT money, and no fees unlike plastiq. Many people use it to pay their property taxes, utitlites, and other bills that don’t normally accept credit cards. I 100% agree with Thomas. This is a great site overall, but to completely ignore being able to pay a lot of bills, utilities, property tax & tuition (all the while earning cash-back) is a major oversight of this article. I’m sure this is the ONLY reason why a large percentage of people even have this card, myself included. I literally don’t even put this card in my wallet since I don’t use it anywhere else, not even Canadian Tire since I never shop there. Thanks for the response. I actually think that would be a great aspect of this card. However, I really can’t find any information on the Bill Pay feature of this card. If that was available right now, I would definitely apply for it and use it for that purpose. Do you by any chance have any information on this? Do you think this is something that is only for grandfathered members? I would love more information on it, but my research has been unable to find any information on it. Is it called something with a specific name? Canadian Tire launched a new loyalty program which you can check on their website now. Don't subscribe All Replies to my comments Notify me of followup comments via e-mail. You can also <a href='https://www.creditwalk.ca/comment-subscriptions/?srp=3225&srk=2648578ecea05c83754707575dc5a494&sra=s&srsrc=f'>subscribe</a> without commenting.